As this year’s graduating class of Wildcats prepares to begin a new chapter, we’ve collected some parting words of wisdom from alumni and our own NCA staff to help guide them in their professional pursuits. Remember your first 6 months on the job will be a huge learning curve so give yourself permission to be curious – asking a lot of questions is a sign of interest, not weakness, and people are going to want to help! 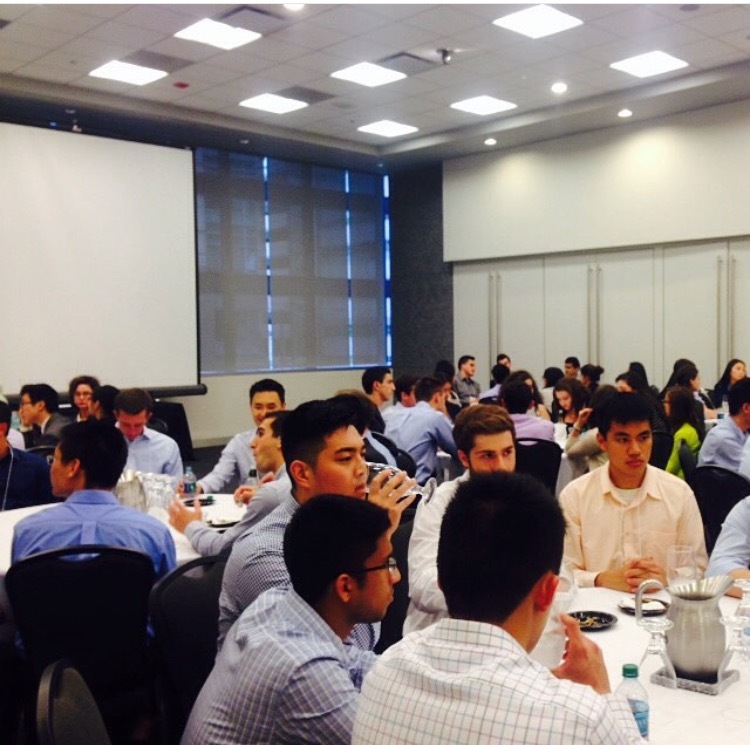 Cultivate your professional network and pay it forward by answering questions of current students when they reach out. You’ve been given an amazing opportunity by receiving an education at Northwestern. I would encourage you to leverage that opportunity not only for your own personal and professional fulfillment, but also to make a positive impact on others. It is completely OK if you still don’t have a clear idea of how your career path will take shape. Please remember that your first job is not your last job, and each position you have will be a learning experience to help you figure out what you should do next. The days of staying with one company one’s entire career have passed. Consider pursuing opportunities beyond your first job that will allow you to continue building relevant skills and experiences to help you achieve your long-term career goals. Keep what you value in front of you as your guide. If you feel you are being asked to compromise what is important to you, have the courage to do the right thing.
.@NUAlumni actually exactly that! Get mentors! CEO told me to have my own personal "board of directors" for career/life – ppl want to help! So, there you have it! We wish our graduates much success in their next opportunity. It won’t be long before we’ll be asking you to share your best career advice for new graduates! Congratulations, class of 2017! Matt works with students in Medill, IMC & Weinberg. You might’ve heard the popular phrase “Northwestern network” tossed around in conversations with parents, professors, or advisers. But what does that really mean? How do you access the network? And how can you leverage it to facilitate networking and increase your success when looking for a job/internship? These are all questions that LinkedIn’s Find Alumni tool (My Network>Find Alumni) helps to address. The Find Alumni tool turns the “Northwestern network” into a concrete, searchable database of 100,000+ Northwestern alumni to connect with and learn from. With the simple click of a button, you can identify alumni working in industries and at companies you’re interested in. You can also search alumni by where they live, what their major was, what their skills are, and keywords within their profiles. For example, looking to connect with a Northwestern alum who works for Google (358 results), PwC (170), ESPN (56) or AbbVie (221)? LinkedIn’s got you covered. Regardless of your career interests, chances are there’s an alum who shares those interests and would be willing to speak with you. Northwestern alumni are generally eager to “pay it forward” and connect with students for informational interviews. Don’t be shy about reaching out to alumni you find using LinkedIn (remember to send a personalized and professional message-not the generic connection request). Talking to alumni about their jobs and career paths and hearing their advice can help you form an effective job/internship search strategy and build relationships with people who can let you know about opportunities and vouch for you in the future. If you’d like help optimizing your LinkedIn profile and using it to network and find jobs/internships, feel free to schedule an appointment with your career adviser! Do you want to experience a day in the life of your dream job or even just explore a new career path? Participate in the Northwestern Externship Program (NEXT) 2016, where you’ll match with a Northwestern alum and shadow them on the job for a one-day “externship” this spring. You could connect with an NPR web developer, a Justice Department attorney, or a music librarian with the San Francisco Ballet (and much more)! Approximately 600 Northwestern alums at organizations in a range of industries and job functions across the U.S. and the world will participate in the program, co-sponsored by Northwestern Career Advancement and the Northwestern Alumni Association. Here’s how it works: Submit a resume and personal statement to hosts you would like to shadow on the NAA website by February 7, 2016. You’ll be notified if you are matched with an alumni host by early March, and then you and your host will set up a date for your externship that works for both of you sometime in the spring (generally between March 21 and April 22, 2016). You may complete one externship per year, and will need to provide your own travel and accommodations. At your externship you might take tours, sit in on meetings, help with projects, or conduct informational interviews with different company members. Current Northwestern undergraduate and graduate students are eligible. “[My host] introduced me to so many people and really got me involved in the work that an engineer will do. It was an experience I will never forget!” – McCormick student, who spent the day with a Northwestern alumnus and product engineer at OXO. “NEXT gave me the exclusive opportunity to see what a day in my life as a full-time employee might be like a few short months later. More than that, my alumni host impressed upon me the importance of having a meaningful life and career.” – WCAS & TGS recent graduate, who, during her time at NU, shadowed Northwestern alumnus and owner of Nieman, Inc. in Wilmette, Ill., a company that specializes in curriculum development for educational publishers. “As a graduate student in neuroscience looking to explore options outside of academia, this was a unique opportunity to see the inner workings of a completely different industry.” – TGS student, who spent the day with Northwestern alumna and co-founder of Blaze Pizza. “The NEXT program connected me with someone who was not just a mentor for a day, but someone who also became a great friend. We’ve continued to stay in touch and even worked together to launch a startup that was awarded over $60,000 and multiple entrepreneurship awards. 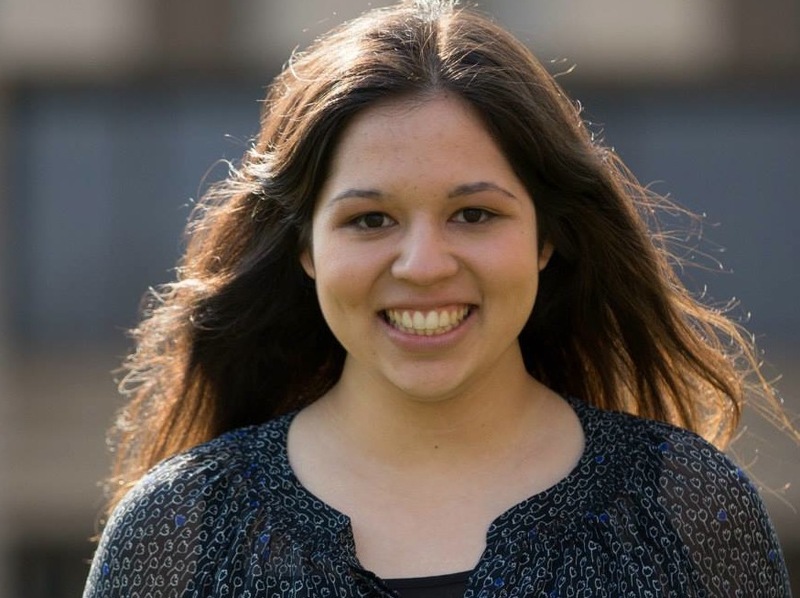 My NEXT host helped to shape my professional career and prepare for life after school.” – SESP student, who spent the day with a Northwestern alumna from Deloitte Human Capital. To learn more about NEXT, check out photos from our 2015 program or read some blog posts from past externships. 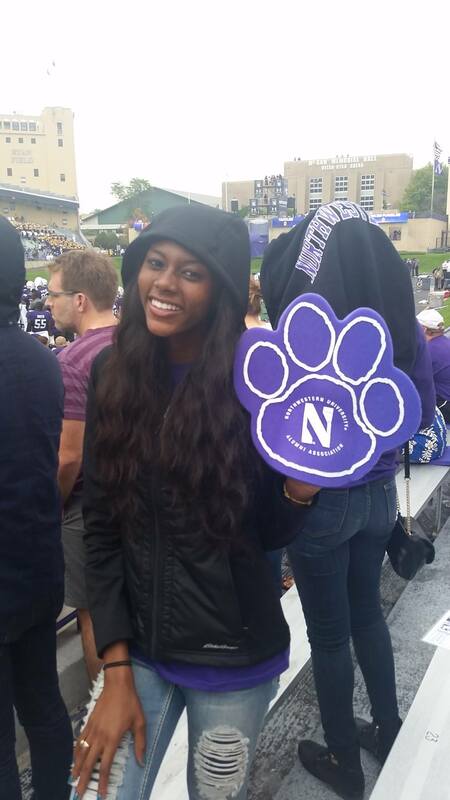 View the list of FAQs and send any questions to next.student@northwestern.edu. Plus: See the complete list of year-round programs from NCA and the NAA designed to connect Northwestern students and alumni for professional development. 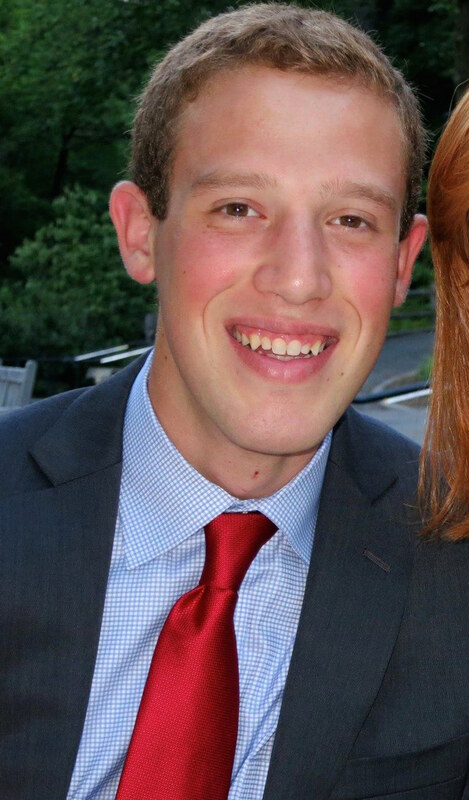 Eli Panken is a junior majoring in journalism and political science, and participated in the 2015 Media Career Trek in New York City. He is interested in reporting on news in the science, technology and health fields. Eli chose to join the Media Trek to learn more about the specialization of media, to better understand the role of a journalist in a big publication/corporation, and to hear some fun and interesting stories that Northwestern graduates have from their time in the field. For the second consecutive year, Northwestern Career Advancement organized different career “treks” for students to take part in. These trips give students the chance to connect with Northwestern alumni and other professionals in some of the top employers of different industries. I had the pleasure of taking part in the Media Career Trek, which focused primarily on some of the top content creating and distributing companies in New York City. I, along with ten other students, was able to meet former Wildcats who now create and manage the content at big time media companies such as the Huffington Post, VICE, Google and the Wall Street Journal. This career trek, along with the six others that take place in New York, Los Angeles, San Francisco, and Washington, D.C., are fantastic opportunities for Northwestern students to get a better understanding of the job market and what employers are looking for. Our trek consisted of eight different stops at media companies as well as an alumni networking reception in conjunction with the Marketing Career Trek. Our days consisted of lots of New York City travelling, as many of the companies are spread throughout Manhattan and Brooklyn. Nevertheless, we were all very excited for each new company and got to know each other very well throughout the days. In NYC on a behind-the-scenes tour with an executive chef at Food Network. 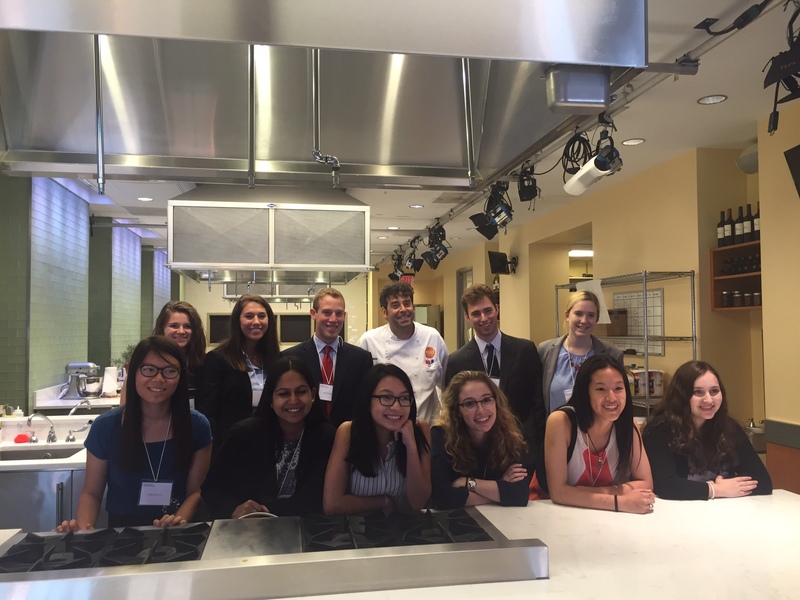 During our first day, we got the chance to visit Viacom Media Networks, the Huffington Post, and the Food Network. Throughout these meetings, it was clear that college-aged interns and employees are strongly coveted at these companies. 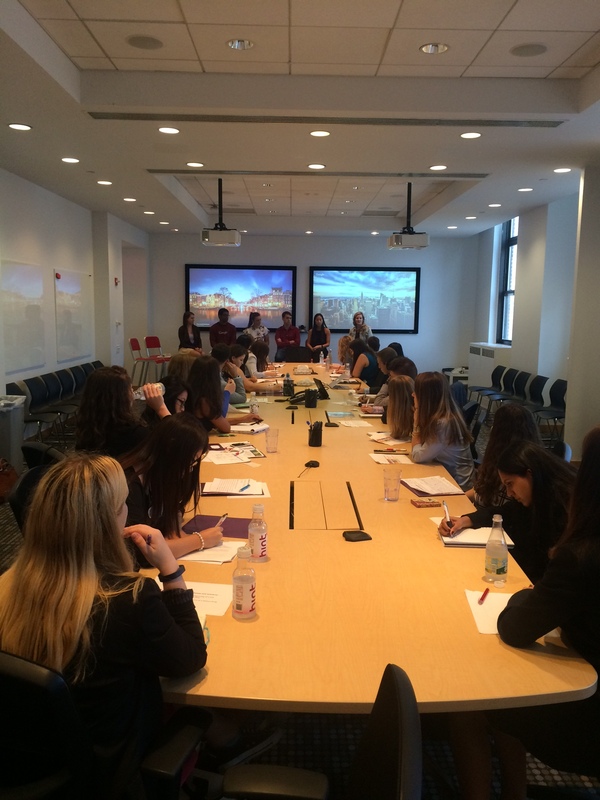 At Viacom in particular, we got the chance to hear all about their internship opportunities after discussing content distribution management with vice president and Northwestern parent Denise Denson. At the Huffington Post, we met with four Wildcat alumni and discussed what works best in a resume. We were surprised to hear that listing social media ability under skills is, in this day and age, not something that will set you apart from the resume pile. However, links to personal social media are particularly helpful. Our final stop on our first day was the Food Network, where we were able to see where most of the content is created. We walked through a handful of sets and toured their backstage kitchens, where all of the network’s magazine recipes are formulated. The marketing and media career treks combine to hear from five Northwestern alumni and one current student at Google. Our second day in New York was a very full one. We began our day at NBC Universal, hearing about their special internship opportunities throughout the company and learning about what goes into creating and covering news specials with Northwestern parent Mark Lukasiewicz. I was particularly fascinated by the amount of planning that goes into news specials, especially those that are breaking news, as well as the careful consideration that a network goes through before announcing certain information about a story. After our time at 30 Rock, we made our way to Brooklyn to visit VICE, a popular investigative journalism and “sociological examination” publication. VICE tends to create a great amount of video content, most of it to be watched online. We got the chance to speak to some editors, writers, and producers – very candidly, at that – about content production and the VICE workplace experience. Our final visit of the day was at Google. Here, our trek met up with the Marketing Trek to hear from NU alumni about the hierarchy of the company and some great skills and attributes that many companies, Google included, look for. After a quick tour of the company’s massive building, our two treks made our way back to 30 Rock for an alumni networking reception. This was a fantastic opportunity to get to know other NU alumni working in our fields of interest and have in depth conversations about career pursuits, interests, and best practices. I felt much better about reaching out to alumni in the future after I had been able to speak to a few during this reception. 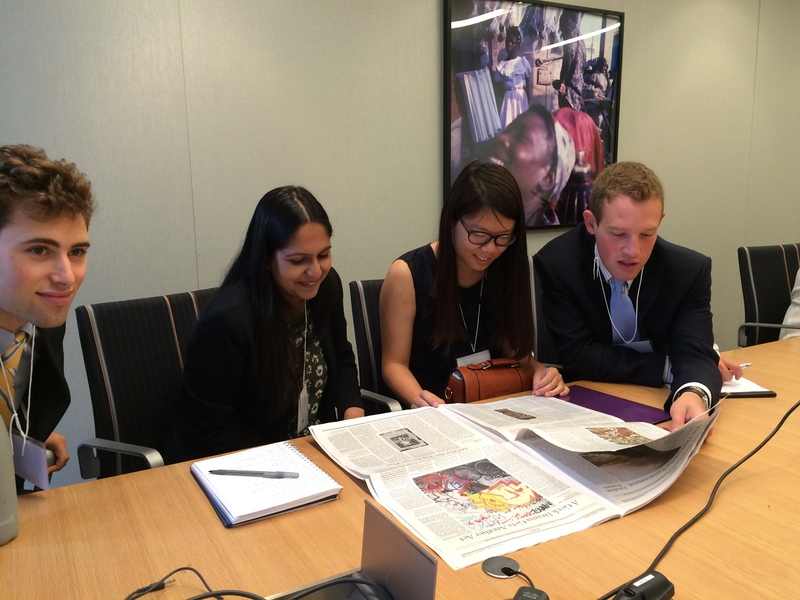 Eli and other trek participants discuss sourcing, content creation, and thematic journalism at the Wall Street Journal with Northwestern alumni and industry professionals. Our final day in the Big Apple began at the Wall Street Journal. There, we met with Emily Glazer, a Northwestern alum and experienced reporter, who gave us countless advice on how to be the hardest working and passionate employee that we can be, no matter our profession. We also had a chance to sit in on a Journal morning news meeting where editors and reporters discussed what news would be placed or released during that day’s news cycle. I was enthralled by the amount of careful consideration the editors went through before choosing what to run in the daily paper as well as online. We finished off our trek at People Magazine. We met with four NU alumnae who discussed with us the magazine creation process and their pathways to People. Overall, this trek was incredibly fun and informative and I would highly recommend it, as well as the other NCA treks, to anyone who feels uneasy about his or her future career. The trek gave me a better understanding of what companies are looking for in terms of interns and employees as well as a better grasp on what it takes to work in the media business. It was also very calming to hear from the many Wildcat alumni that are so willing to help and support us current students as we transition from college into the workforce. Many of the companies featured on the Media Career Trek are coming to campus in the 2015-2016 academic year (including Time Inc, Huffington Post, and NBC Universal). If you’re interested in learning more about internship and post-graduate opportunities, check the ‘Events’ tab in CareerCat or reach out to Katie Farrington on the Employer Recruiting Team at NCA. Dan Leahy is a rising junior in the School of Communications. He is pursuing a double major in Theatre and Economics, as well as certificates in Musical Theatre and Integrated Marketing Communications. He is currently a marketing intern for Broadway In Chicago; his post-graduation plans are still undetermined, but he hopes either pursue a career in acting or in something business-related, perhaps in consulting or advertising. Dan took a practicum through Broadway In Chicago during Winter Quarter of his sophomore year that helped him secure this internship. He attended info sessions for various other internships in marketing and consulting, but ultimately decided that this internship was the best intersection of his interests. From day to day, he does anything from preparing promotional materials for one of many of Broadway In Chicago’s local partners, to the updating of digital and physical marketing resources in BIC’s theatres. Some of his larger responsibilities include working with an app developer to create a virtual tour of Historic Chicago Theatres in the Loop and creating personality quizzes on online sites to promote shows. It’s especially rewarding for him to see one of Broadway In Chicago’s 100,000+ followers interacting with something of his creation on social media. Outside of the office, one of the major perks is working at events for Broadway In Chicago. One of his favorites was the world premiere of the Pre-Broadway musical ON YOUR FEET!, where he was able to interact with Emilio and Gloria Estefan in addition to other celebrities who attended the premiere. He also worked at Broadway In Chicago’s summer concert, where he was given backstage access to Jay Pritzker Pavilion at Millennium Park and met many of the stars of Broadway and National Touring productions. His supervisor is Northwestern graduate Jennifer Schaefer (Medill ‘12). He feels very grateful to have worked under a Northwestern graduate because it helped him see how the work we do within the Northwestern community applies in the real world. Having worked to market multiple shows within Northwestern’s Student Theatre Coalition, Dan certainly has experience in thinking critically about how to make theatre accessible to a wider audience. Jennifer has helped him understand how to apply these strategies on a macro level to the larger Chicago community. His biggest takeaway from this internship is that all work can be rewarding if it’s for a greater purpose. Although school and most jobs can be tedious or stressful at times, passion for the work being done can always make it a little easier. His future career may not result in something as glorious as a Broadway show, but he is confident that having worked in this office will help him to see the bigger picture regardless. Sophomore Hannah Wald attended the Chicago ‘Cats Connect networking reception on July 15. Hannah Wald is a WCAS sophomore double majoring in international studies and political science. Hannah attended the ‘Cats Connect student-alumni networking reception in Chicago on July 15. Hannah is originally from California and is interested in pursuing a career in marketing and communications. Why did you attend the Cats Connect alumni-student networking event in Chicago? I decided to attend the ‘Cats Connect Student-Alumni networking reception because I wanted to be able to meet some great alumni who could provide me with valuable insight on their careers after Northwestern and opportunities to think about career paths based on our interests and passions. I knew what my major was and what I was interested in, but I didn’t have any idea on where to look for what kinds of careers I could make from them or what kind of industry I wanted to go into. Talking to alumni really opened my eyes into exploring the possibilities of different career paths and to not limit myself to just one field. I learned the importance of being open to different fields and to allow myself to try new things along the way as I look into building my career. Northwestern students and alumni network at the Chicago ‘Cats Connect. How did you navigate the networking event? What advice do you have for other students? I navigated the event by finding people to talk to one-in-one so I could have a meaningful conversation with an alumnus/alumna. Because of my hearing disorder, I often feel overwhelmed in a big group of people talking at once and it makes it difficult for me to hear people. It made things easier for me to talk and not be anxious, and with the more personal interactions I was able to receive more valuable insight catered to my unique experiences. I was comfortable talking with the alumni at the event because I knew that they were there to listen to me and for me to listen to them and to have a conversation. Did you meet anyone interesting? At the Cats Connect event, I met with two different people, Kristen Grisius from the Law table and Marilyn Stein from the Marketing and Communications table. They were both very nice and willing to talk to me and give me advice on the things that I can do with an International Relations and Political Science. Ms. Stein shared a similar background in me and went into the marketing field and offered me advice that I can go into multiple career fields. What was your biggest takeaway from Cats Connect? I would say my biggest takeaway from Cats Connect was the reassurance that I still had the ability to decide how I wanted to pursue my future career and the realization that my specific majors and areas of interest were not limited to one type of career or field of industry. I had a greater level of freedom of exploring different professions and jobs than I ever thought I had before, which really excited me for what is ahead. I have learned that it’s okay to change career paths and to even try a bunch of different things before you finally settle into a career that you are passionate about, and it is the best of both worlds if you enjoy your work and are successful at the same time. Would you recommend other Northwestern students attend? If so, why? I would highly recommend other Northwestern students attend this event because you never know who you end up meeting in the process. If someone is nervous about always staying professional or worrying about saying the wrong thing, it is important to remember that the alumni that speak to you are there to help you and are there to guide you in a career path that is perfect for you. Just keep an open mind and open ears and I think anyone can gain from attending unique event such as Cats Connect. SoC sophomore Aisha is interested in pursuing a career in advertising, marketing and public relations. Aisha Hauser is a sophomore in the School of Communication majoring in communication studies. She attended the Los Angeles ‘Cats Connect student-alumni networking reception on July 28. Aisha is originally from California and is interested in pursuing a career in advertising, marketing and public relations. Why did you attend the Cats Connect alumni-student networking event in Los Angeles? I attended the Cats Connect networking event because I really value relationships and enjoy meeting people and hearing their stories. Due to the fact that I am a rising sophomore, I am very new to the business world of networking, but I knew that this event would be the perfect place to start. 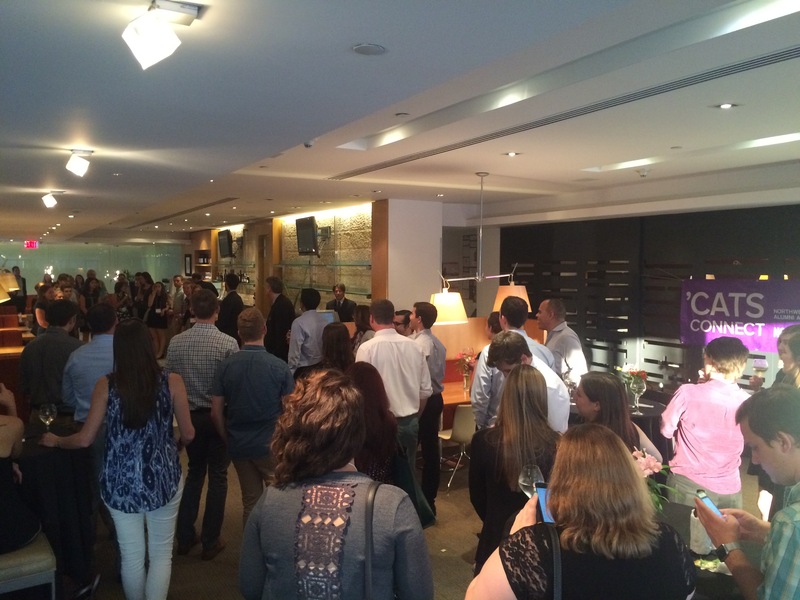 What was it like to navigate the networking event? At first, navigating the networking event was a little bit awkward. It was definitely an unfamiliar environment for me, but I soon realized that everyone at the event was extremely welcoming. Once I got comfortable, I began to really enjoy myself. I still have 3 more years of college ahead of me, and as a result, I really fed off of the interesting and unique stories of both the alumni and current students. By the time that I left the event, I was extremely energized and excited for what the future holds for me. During Cats Connect, I learned about so many interesting jobs, but more importantly, I met some incredibly interesting people. I met people who worked hard for many years and ended up in a place they would have never imagined, as well as people who had very specific goals and worked their way right to them. Being in that room with so many accomplished professionals truly made me proud to be a Wildcat. In the coming weeks I will be meeting up with two amazing women who are recent Northwestern graduates. Melissa Cline, who graduated this past spring, is currently interning at OWN and I am extremely excited to pick her brain about her experiences both at Northwestern and OWN. Natalie Burch, a 2011 graduate, currently works at Warner Records across the street from where I intern at Warner Bros. Telepictures Productions and I am extremely excited to grab lunch with her and talk about the similarities and differences of the WB business on the pictures and records sides. 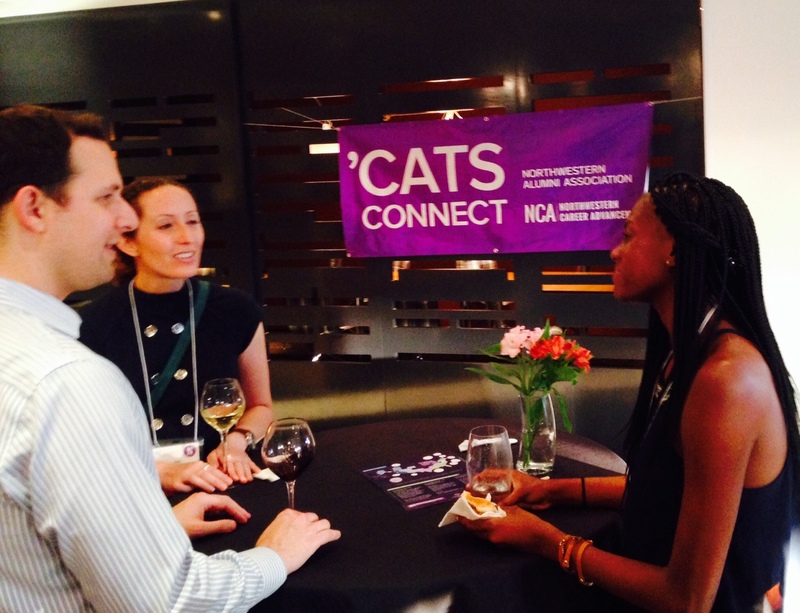 Northwestern students and alumni network at the Los Angeles ‘Cats Connect. My biggest takeaway from Cats Connect is that there is no one formula that equates to success. There are common ingredients such as hard work and integrity, but everyone has their own story and I can learn from them, but will never be able to reproduce them. Authenticity is key, and I will definitely take these next few years to become the best Aisha I can be which will eventually translate into being the best career woman that I can be. I also learned that Northwestern has such an amazing alumni network and that it is completely up to me to take full advantage of it. I would without a doubt recommend this event to other students, whether or not they know exactly what they want to do upon graduation. I think that networking is something that is perfected with practice, and a Northwestern hosted networking event is a safe and comfortable space to begin that practice. WCAS student Jordan Harrison recounts her NEXT experience with National Geographic. Jordan is a rising junior majoring in biology. Rising junior Jordan Harrison spent her NEXTernship with National Geographic communications manager (& NU alum), Beth Furtwangler. I walked into National Geographic expecting to learn about PR. I actually learned about PR, book publishing, photo copyright, children’s literature, media moments, and the Pope. 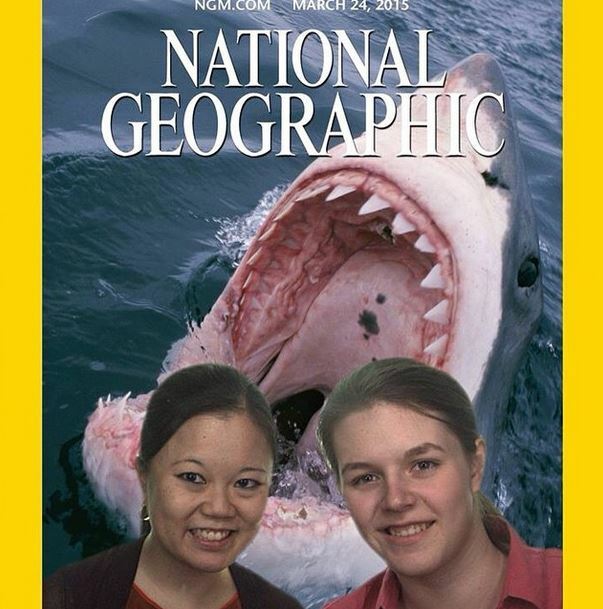 National Geographic is a truly unique organization; it is a media and a news company, of course, but it also funds research and innovation and keeps such a cooperative relationship with scientists that you know you can trust their facts. I shadowed Beth Furtwangler, communications manager for the daily news and National Geographic Kids divisions, who also introduced me to some of her colleagues including Lauren Hodapp, Kelsey Flora, Carol Woodward, and Farley Fitzgerald. I am so grateful to all of them for taking the time out of their day to talk to me. What I really took away from my day with Beth was to always seize opportunities when they arise in the “moment,” whether in media or in my career. For instance, Nat Geo recognized the significance of the recent measles outbreak in Disneyland as a catalyst for conversation about science denialism, and ran the article “The War on Science” online two weeks early to be part of the conversation. In my own professional life, some similar advice I got was to seize internships or other experiential learning opportunities as often as I can. Nat Geo also changed how I think about occupation versus industry. I’ve never had warm feelings about PR until now because I didn’t think there could be a lot of passion in it. However, a lot of the Communications staff said they felt more a part of a team working in-house at National Geographic than for an agency. For an organization like National Geographic that wears so many hats, from research to outreach to book publishing, the communications team is vital for coordinating everyone’s efforts. It totally changed my opinion of public relations as a fulfilling career. It goes to show that working in different industries can totally change your job satisfaction even if you are working in the same role. And finally, here’s some fun stuff. Did you know that National Geographic has a cartographic department? A whole department just for maps. Whenever a map is needed in any NG publication, the map department has to make it and lay it out and nobody else can mess with it. Northwestern students Ahsan Rehman & Michael Caputo recount their NEXT experience with Quantum Secure. Ahsan is a McCormick graduate student in analytics interested in a career in technology consulting, and Michael is a McCormick graduate student in information technology interested in a career in telecommunications engineering and leadership. For the NEXTernship program, we shadowed Vik Ghai, the co-founder and Chief Technology Officer at Quantum Secure; a physical identity, security and access management company in the heart of Silicon Valley. Vik was kind enough to not only share his professional experiences, but also spent time outside the office to discuss how start-ups are building solutions to solve the world’s toughest problems. Quantum Secure is a startup, which has shown enormous growth in last decade by providing solutions to large corporations. Vik and his team are highly efficient when it comes to project execution, as roles are well-assigned and progress is shared on a daily basis. During our shadowing day, Vik shared how he interacts with his sales team and work package divided between the technical team members to work on deliverables. We were also assigned a small problem to develop use cases on how Information Technology and Advance Analytics could be used to develop solutions for Identity Fraud. Vik is an intelligent and successful entrepreneur, who understands failure is an experience, which allows you to re-think and make improvements for a better approach in the future. He believes ‘Project Execution’ and ‘Client Experience’ are two distinct items that if handled well can lead to the success of any start-up. Furthermore, he considers the Master’s degree from Kellogg invaluable in helping him navigate the corporate world. This experience allowed us to think about new ideas and gain insight into the life of a Silicon Valley growth company. It also showed us how the time spent at Northwestern can be a great source of pride for its Alumni. 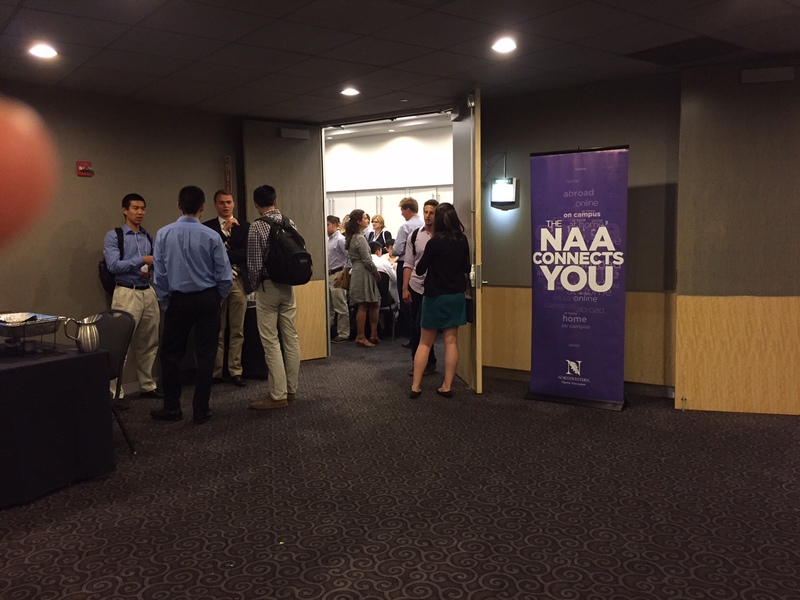 The NEXTernship was a fantastic way to network with alumni, evaluate the current Industry trends, and appreciate Northwestern’s amazing education and resources. Northwestern School of Professional Studies student Megan Troy recounts her NEXT experience with WE ACT for Environmental Justice. Megan is part of the Master’s in Public Administration program. When I first got in touch with my host, I was unsure of what to expect. She and I had pretty different backgrounds, tied together by Northwestern roots, but in somewhat different fields. Upon talking to Jalonne, I quickly realized that having different career focuses doesn’t mean that you can’t work towards the same goal—in this case, that was social justice and equality. Dr. Jalonne White-Newsome, my host from WE ACT for Environmental Justice, has an impressive background working in the EJ field and advocating for low-income communities to have the same rights and health benefits as others. My own background, in social work and now public policy, also addresses disparities in social policy with a focus on low socioeconomic status groups. When I arrived for my externship, we discussed how our backgrounds intersected and found common ground in our advocacy roles. During my day with her, Dr. White-Newsome included me in a meeting between environmental justice coalition members and representatives from the EPA to discuss the Clean Power Plan. This was such a rewarding experience for me because I got to see how “on the ground” issues, like I had dealt with in my own work, and higher-level policy issues merged. I feel that having this opportunity is so important for students because they may see something in action that they never would have thought of on their own and then develop a passion for this. I had never specifically focused on environment justice issues, but after meeting with Dr. White-Newsome, I felt a true connection to these advocates who are working so hard to bring a sense of equality to low-income communities. The very things that I have always worked for and strived for were embedded in this organization that I would have never known more about without the NEXT program.